Q. What are the biggest challenges a CEO faces today? How can he/she meet them? A. Some challenges are specific to a company or country, and some are universal. The CEO of a company in a turnaround situation has different challenges and therefore needs different skills, judgements, and temperament from that of the CEO of a company that has opportunity for extraordinary growth, both organically and through acquisitions. Different characteristics are also required for different stages of a company. But every CEO must be prepared to take advantage of two unstoppable trends that affect almost any business. First is the enormous impact of various governmental bodies, some positive, some negative. Q. You have been working with CEOs both in India and abroad. How do they compare? A. Some of the differences are based on the environments in which they work. CEOs in India are more resilient and have the temperament to deal with the delays, moving government targets, and huge constraints imposed by unpredictable resources (like lack of power). These problems are more common here than in most advanced countries. 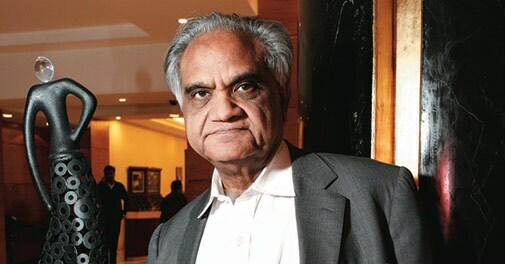 Many Indian CEOs are excellent executives and business people, and I know they could run very large western companies. The opposite is less true. Q. It is becoming increasingly difficult for a CEO to balance his long-term vision with the short-term compulsion of quarterly profits. How can this be managed effectively? A. This is a common theme among CEOs across the globe. Doing one without the other is courting disaster. The more successful CEOs create an expectation among investors and other stakeholders that balances the short and the long term. For example, a successful CEO includes in his or her annual short-term plan and goals the short-term portion of what is building the long term. This way he or she sets the expectation and delivers on targets that are truly short term as well as those that are the short-term portion of building the long term. "A successful CEO includes in his or her annual short-term plan and goals, the short-term portion of what is building the long term." Consistency of execution builds credibility. Not executing well on the short-term part of building the long term speeds the company's decline. The best example in the world today is Amazon.com, whose stock price continues to go up even though its short term earnings have not done well. That's because the investment in distribution centres and infrastructure are building the long term for the company while reducing the short-term earnings per share (EPS). The metric investors use in such cases is not EPS; it is revenue growth and gross margin and how well the company is executing the short-term investment to build the long term. Q. Should a CEO care about his company's share price? A. For investors and traders, there is only one score that counts: appreciation in share price and any dividends paid over time. However, the share price is a function of external capital market conditions, along with the perception about the industry or peer group the company is in, as well as how company performance is seen relative to the peer group and/or industry. It is in this context that the media makes a big splash in evaluating the CEO. Often reporters do not fully understand the context, and therefore the CEO needs to have an approach to correct misinterpretations by investors, analysts and the media. Roberto Goizueta, the late CEO of Coca-Cola, did that very effectively. He wrote notes to explain the reality. As is well known, he had a record almost second to none in creating shareholder value over a 15-year period. He balanced both the short term and the long term. He transformed the company, where today 70 per cent of earnings come from outside the US. In many companies in the world, however, executive compensation is linked to what is known as TSR, Total Shareholder Return, and that links to the share price. The CEO and his team must focus on the creation of real value and communicate extensively to those who do the arbitration of prices. No real value creation, no sustaining share price. A. No one is really prepared to be a CEO on Day One. People discover the content and pressures of the job when they actually get into the saddle. Grooming definitely helps, but it is unlike any other job they've had. So an incoming CEO often benefits from some coaching by those who have been there. In America, sometimes a Board member is very helpful. It's always good not to stumble. Day One is a learning day, a listening day, not a day for pontification. Self-confidence, humility, learning, finding his or her way, looking at the situation with fresh eyes and not preconceived ideas are some of the ways to avoid disaster. Q. What is involved in CEO succession? "A CEO must be authentic yet have the courage to take tough calls as needed. A deep desire to be liked by everyone can compromise leadership"
A. The most critical work of a company board or in the Indian case, the (controlling) family, is to have the right CEO all the time. Nothing overcomes having a wrong CEO. It is imperative that if you want internal candidates to be CEOs, they be identified early, because their makeup is different from the rest, and they need to be given opportunities to develop through experience and mentoring differently from the rest. It is like finding an ounce of gold in a tonne of ore. It's no different than in sports or music. In India, a large number of big companies are family controlled. Family members want to be CEOs. The family patriarch may need to come to terms with this and do family succession planning. Today many of the families have their children properly trained as professionals, going to places like Harvard or INSEAD, and learning as they work their way up. If they have the qualifications and the experience, there's nothing wrong with that. So there are companies in India where the family members have proven to be qualified CEO candidates. But their training is done in a different way from that of other functional leaders. Q. How important is a proactive Board of Directors to a CEO's success? A. Here I want to share my insights on American Boards and my observations of the Boards I've served on. Some members of the Board can be extremely helpful to a CEO, but the CEO has to be open and seek counsel in terms of judgements, nuances, what to watch out for, and seek feedback. No CEO is perfect. Every CEO has a blind side. Boards can help. Q. Do biases against them still hold back female CEOs? A. The good news is that female leaders are breaking the glass ceiling. Most of those who are able to move up have come from finance or marketing backgrounds. Those who have chosen HR or IT have been less successful. But that is also true for men. So if more women take up finance and marketing or even operations they will have a better chance to break the glass ceiling. Q. Should a CEO be loved or feared? A. Neither. First and foremost a CEO has to be a developer, a motivator and an energiser of people. Also important, a CEO has to be trusted and have integrity. Today when everything is transparent, a CEO must be authentic yet have the courage to take tough calls as needed. A deep desire to be liked by all can compromise leadership. Q. Are CEOs born or made? A. A definitive answer requires a lot more knowledge of genetics. But by the time a person is in their early twenties, people can see what his or her natural talent is. The best way is to identify that talent early and help it develop faster. We have people in the world like Bill Gates and Steve Jobs who were successful CEOs at a very early age. We know one thing: through training and mentoring people can improve over time.